This was a super fun program to host with the preschool and older age group where the kids retold the Very Hungry Caterpillar Book By Eric Carle with the large shapes you see in the pictures and then visited centers tasting some of the healthy items that the caterpillar eats in the story. The voted which was their favorite. We also had put out the felt board pieces and the smaller version of the book for them to interact with and retell the story again and again! We went through the parts of the Three Little Pigs Story and acted it out with pig costumes and a wolf. We also talked about the materials that the houses were build with and which ones we thought were the strongest. We passed examples of the items -- straw, brick, sticks. We then moved to the tables for our building activity and each table had items out like gum drops, marshmallows, tin foil,craft sticks, pipe cleaners that they were to build a house with a number of these items. Then they tested the strength of their house using the big bad wolf (a hairdryer) to see if their house was strong enough. Super fun and creative way to talk about strength and bring in the three little pigs! 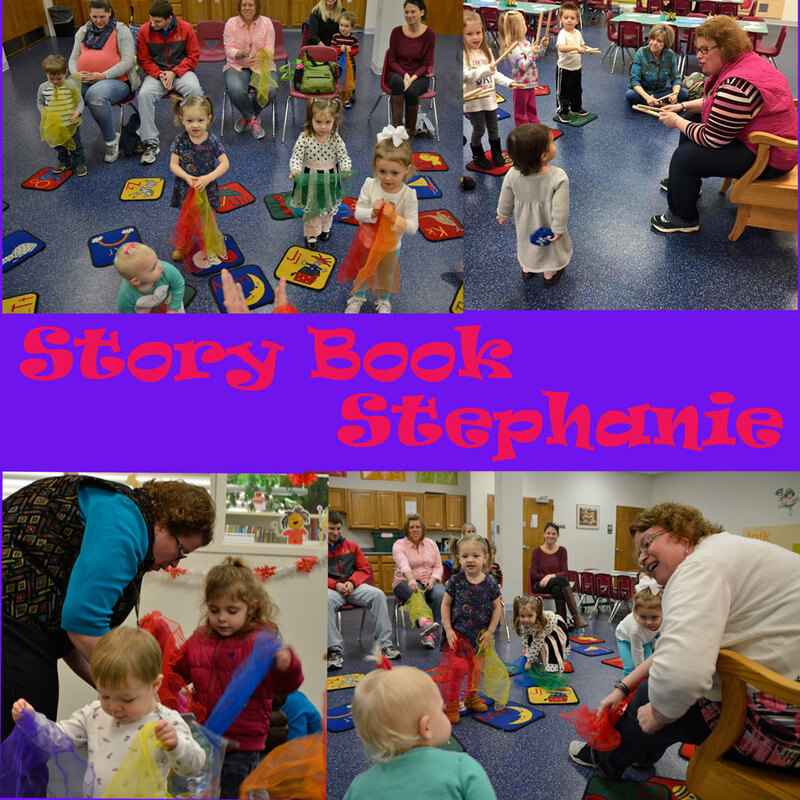 We shared the book Click, Clack, Moo By Doreen Cronin with the kids. We showed the kids a typewriter and had them try to hold it and ask if it was heavy or light and the kids practiced touching the keys. We also talked about how butter is made and had the kids help shake the cream in a mason jar to see how the cream is formed into butter. We also made Cow puppets with a paper bag and cow face printable.